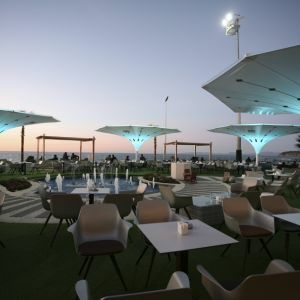 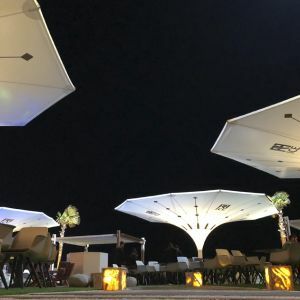 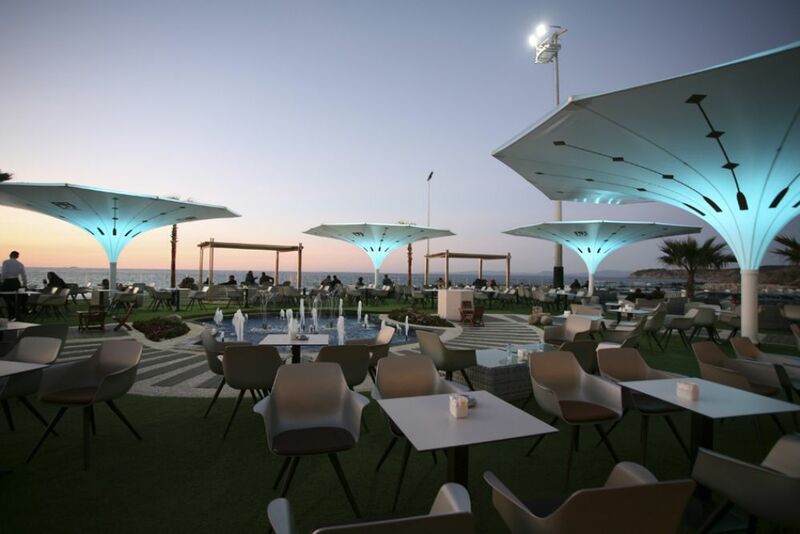 The Café Restaurant RR-Ice, located on the Tangier beach front in Morocco, is a modern cafeteria that represents one of the most elegant places to visit in the city. 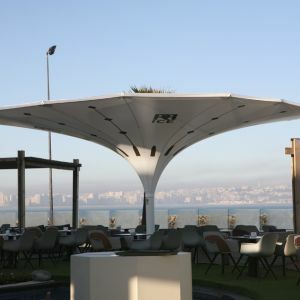 5 Estoril style parasols were installed for this project, that have an inverted feature, and incorporate increased motor technology. 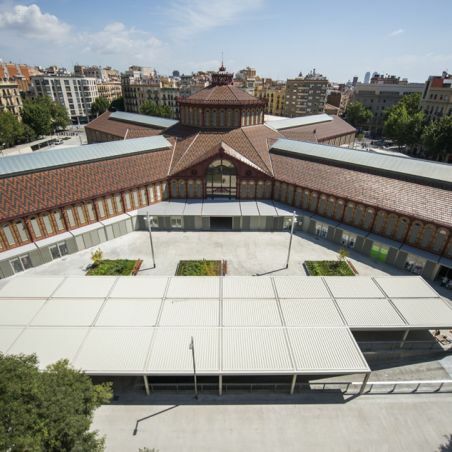 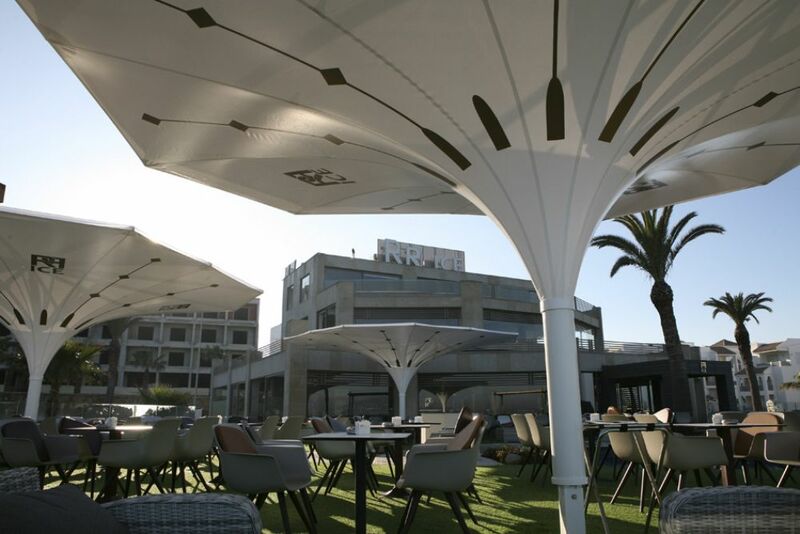 This allows only the structure’s central mast to be visible, with the parasol structure remaining hidden within the technical fabric. 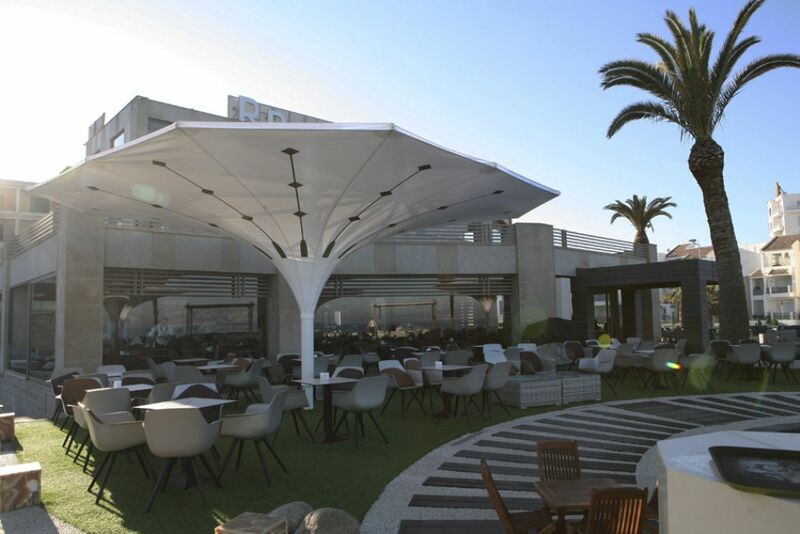 The parasol’s robustness is guaranteed for wind speeds of up to 70 km/h. 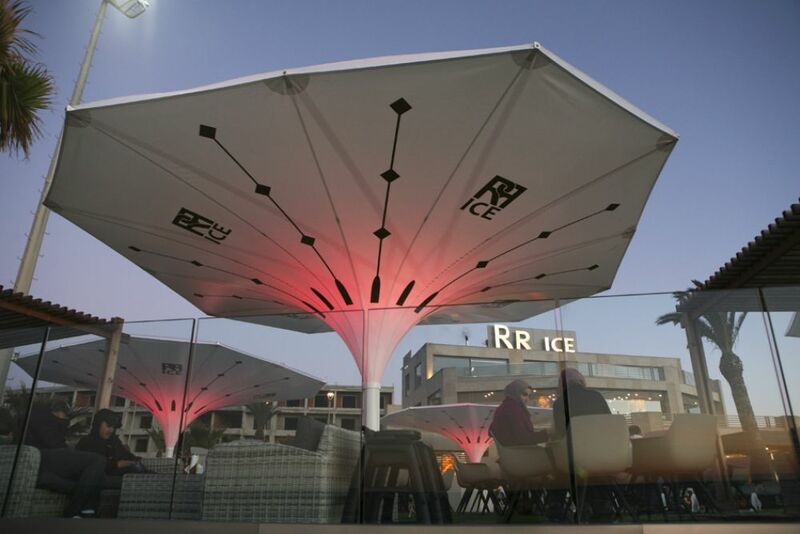 The parasols were printed with the restaurant’s brand for advertising purposes. 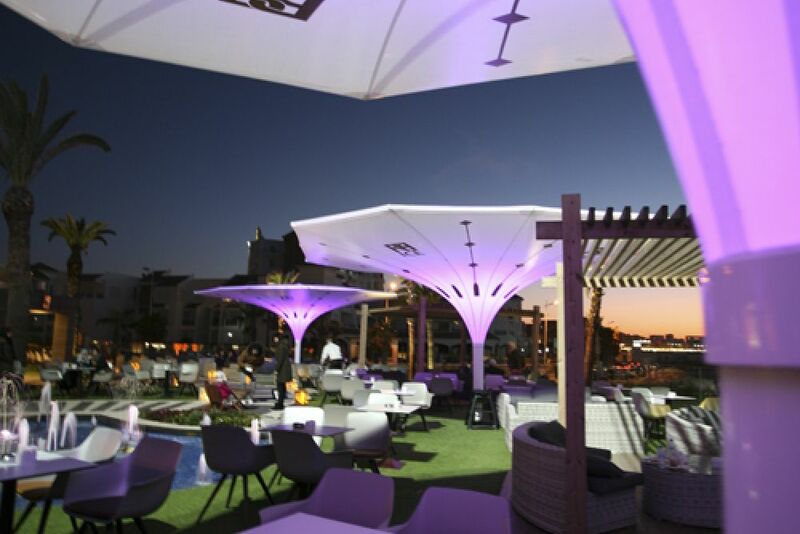 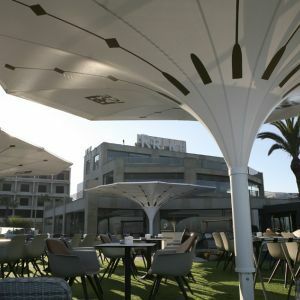 The Estoril parasols that were installed on this terrace measure 7 x 7 m, covering a total area of 49 m². 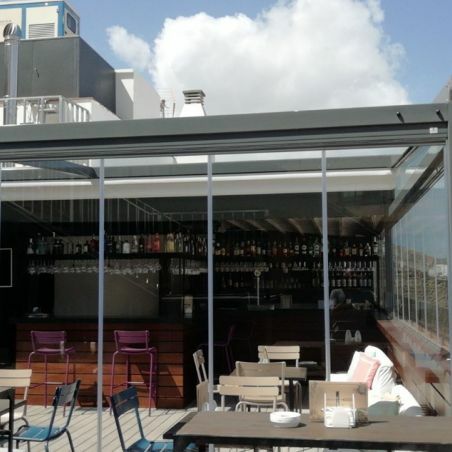 It’s wind resistance is up to 70 km/h when open. 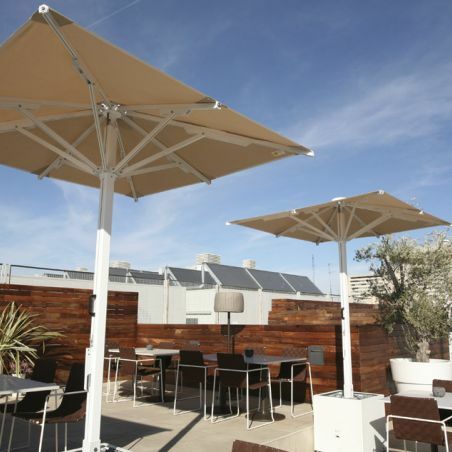 Via its telescopic opening system, its height can be varied according to the parasol’s position. 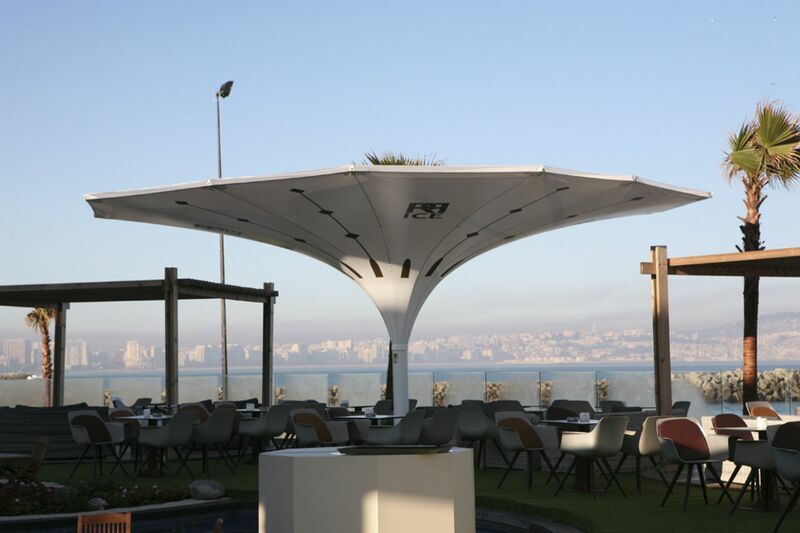 Its height is 3.50 m, from the floor to where the arc commences. 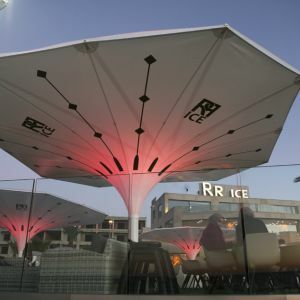 Its height when open is 3.80 m, and when closed 4.90 m.
This parasol is made of two printed PVC fabric covers with UV protection on both the upper and lower fabric. 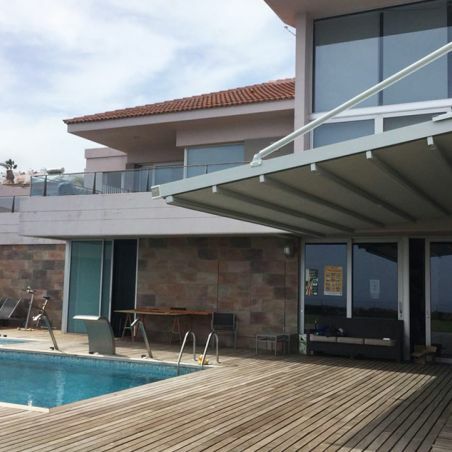 The Estoril mast is 200 mm and its interior structure is made of 12 profiled poles. 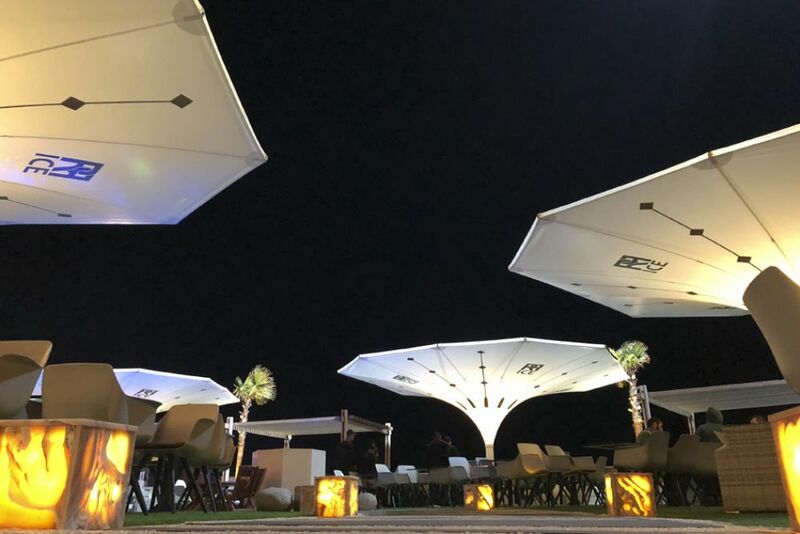 The products are automated with motorised LED/RGB technology via a touch console that allows control of the parasols at all times. 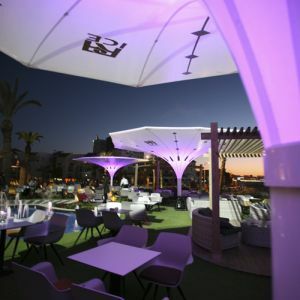 From changing the colour of the LED lights to opening or closing the parasols. 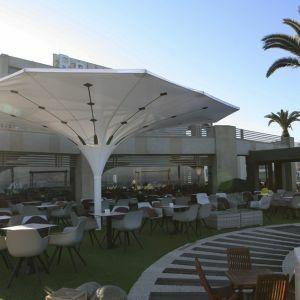 The system functions using Wi-Fi and offers the possibility of managing the parasols via a mobile app device, allowing their handling from anywhere in the world.